This one-day shopping event can be hit or miss depending on how you approach it. Amazon Prime Day 2016 kicks off at midnight PT on July 12, and they're promoting it as a sales event bigger than Black Friday (again). 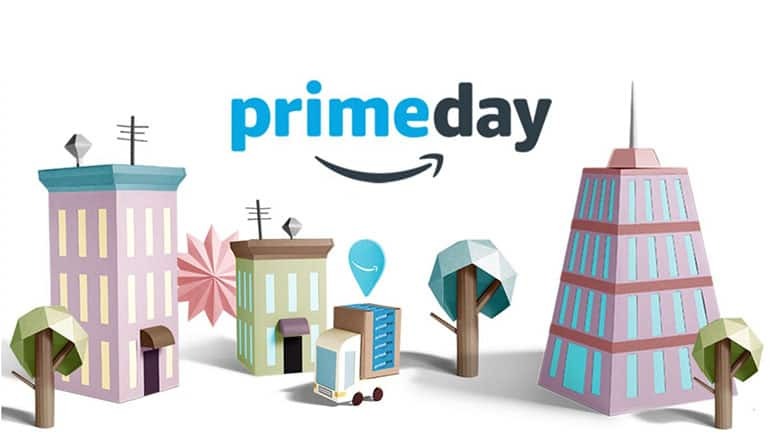 While there might be some good deals coming up, there are certainly a few valid reasons to doubt this will be any different than last year's Prime Day. Having said that, signing up for a Prime membership can still be a good idea for some. There are many estimates on the number of people who already have Amazon Prime, but we can safely say it's more than 50 million in the U.S. That's not a promising stat if you're trying to get your hands on a sought-after item like a 4K TV or Amazon Echo. Not all Prime members will bother checking out Prime Day deals obviously, but plenty of them will. Last year, the top products were available for a split second before they ran out of stock. If it's going to be the same this year, it will probably be easier getting a doorbuster TV deal on Black Friday while casually strolling in to your local Best Buy right before they close. Everyone knows about common Amazon products (think Fire TV, Kindle, Echo, etc.) and categories (electronics, household items), but Amazon wants you to notice that they're expanding into other areas. Did you know they're exploring their own line of grocery products, for example? Or how about their fashion brands? Amazon Prime Day is a great opportunity for them to promote these things while they have your attention. It's been reported that 73% of people who sign up for a 30-day trial membership to Amazon Prime end up staying on and paying $99 for a one-year membership. Once they hit their renewal date, 91% stay for a second year. Prime members spend about twice as much per year on Amazon than people who don't have Prime, so it makes a lot of sense for them to offer free-trials. That's why you can get one any time of year, not just during Prime Day. We've covered everything you get with a Prime membership in great depth before, and it's pretty hard to make an argument that it's a bad investment as long as you're taking full advantage of the benefits. Even if free shipping is your only reason for signing up, it doesn't take long to break even once you start placing orders. You could make arguments that Amazon Video is not as good as Netflix or that Amazon Music is not as good as Spotify, but hey, it doesn't cost anything extra. This is not a surprise if you're a frequent visitor to Slickdeals, and it's also the reason many of our deal-savvy users aren't buying into the Prime Day hype. If you visit our Frontpage (where we showcase the top voted deals by our community) on any given day, you're almost guaranteed to see something from Amazon. You can also visit our Amazon coupons page, which features sales and promo codes at the top of the page and all Amazon deals if you scroll down a bit. There was a deal for the Amazon Echo in April for $154, which is a $26 discount. We also saw an 8GB 7-inch Fire tablet for $40 in June, which is 20% off. We even have a weekly roundup of some of the best deals from Amazon, so there is no need to put all your eggs in one basket. If you've got your mind set on trying to grab a great deal on Prime Day, do yourself a favor and set up a Deal Alert for the products you're interested in. You'll be notified instantly when someone posts a deal, and you'll have some community feedback on the deal to help you gauge how good it actually is. Just because Amazon makes something available during Prime Day doesn't make it a great deal. You can also download the Amazon app to browse upcoming deals on Prime Day. In the app, you'll be able to monitor the deals via the "watch this deal" feature and get a notification once the deal is live. There you have it. It doesn't cost you anything to check out some of the deals on Prime Day (except maybe time), but buying something that isn't a great deal will. Tap into the knowledge of our community and you'll be less likely to have a bad shopping experience.